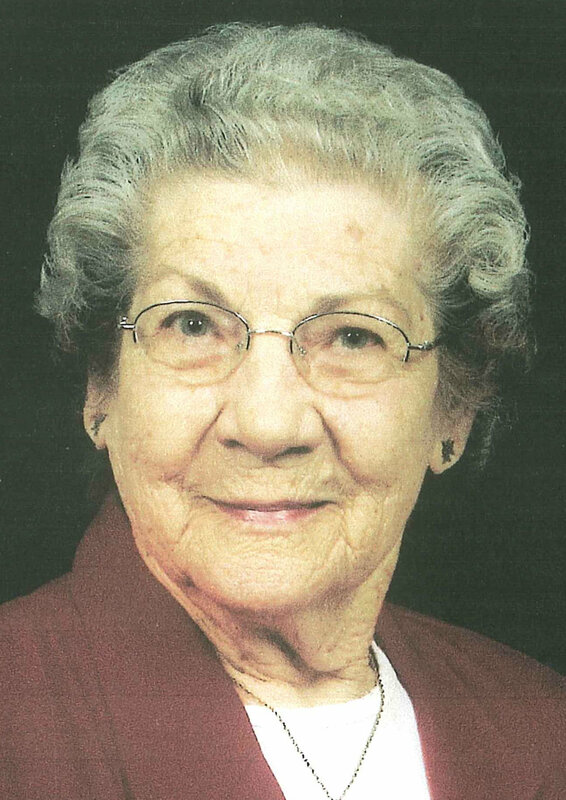 Elwanda Cantrell Hoyler, Marlow, passed away on Wednesday, January 10, at the age of 96. She was born October 18, 1921, to James Grayden "JG" and Ethel (Grindstaff) Cantrell in Ada, Oklahoma. Burial will be on Saturday, January 13, at 1:00 P.M. in the Fairview Cemetery in Pampa, Texas. A memorial service is scheduled for Monday, January 15, at 10:00 A.M. at the First United Methodist Church in Duncan with Rev. Dr. Janice Sharp officiating, assisted by Rev. Kathy Gibson. Arrangements have been entrusted to Whitt Funeral Home. Elwanda graduated from Ada High School and attended West Texas State University in Pampa, studying accounting. She married Cleo Earl Hoyler on April 24, 1939, in Stratford. They raised three children, Jacquelyn, Lynn, and Jim. She worked for Cantrell & Hoyler Drilling Company as a bookkeeper for many years. She enjoyed watching Thunder basketball and Oklahoma University sports. She also enjoyed playing bingo, crocheting, camping, walking, and working in her garden. Elwanda is survived by her children, Jacquelyn and husband Gerald Marlar and Lynn Samples; daughter-in-law, Veronica Hoyler; grandchildren, Jerry Marlar, Krista and husband Trent Yadon, Ryan and wife Krista Samples, Sheridan and husband Jacob Haynes, Bryan Hoyler, and Mark Hoyler; great grandchildren, Nathan Marlar, Sarah Reed, LeAnn and husband Patrick Alland, William Yadon, Natalie Yadon, and Huntleigh Haynes; great great grandchildren, Jenika Reed and Jewlissa Reed; brothers, Jeff and wife Becky Cantrell, and Pete and wife Melissa Cantrell; sister-in-law, Marion Cantrell. She was preceded in death by her parents; son, James Glenn "Jim" Hoyler; brothers, James Cantrell, Charles Cantrell, and Royal Cantrell; and sister, Gladys Pendergrass.